Writing, self-publishing, book cover art … and don’t forget the rules. 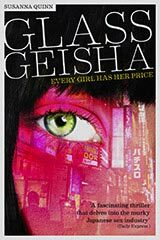 Guest post from Michael Leese on self-publishing, book cover art and the rules you need to follow to make the right impression. A year ago I launched my first novel on Amazon, Going Underground, featuring Jonathan Roper the autistic detective and his long-suffering boss, Chief Inspector Brian Hooley. Since then I have published two more books in the series. The three novels are dark crime thrillers underpinned by a black humour that emerges from the relationship between the two men. Today the first book has received more than eight hundred reviews, and I am glad to say that most of them are five stars. OK, that’s the promo bit over. In this blog post I hope to offer some insights into life as a self-published author and maybe return to some of the themes in more detail in subsequent posts. I don’t know how many of you are fans of NCIS, but the central character is ruled by a set of non-negotiable rules. Now I’m a writer, a creative spirit and free-agent…I laugh in the face of rules. Well I used to. Then I self-published my first novel and things changed. Look at it like this. You’ve just poured your life and soul into your first book. You’ve given it everything, worried at it, nurtured it, re-written it, got angry with it. Now you’ve got a few people to read it and suddenly you are the best selling author in your family. Your mother, partner, sister or brother all think it’s great. You know this because you have listened very carefully to their praise and can detect no hidden doubts or meanings. Clearly everything is ready to go. Rule 1: Wait. You’ve got a lot of work ahead. Rule 2: Get your book professionally proof read. Do not cut corners to save money. Ask other writers and get advice on who’s good. You want your work to be as pristine as possible. Rule 3: Hire a decent book cover designer. If you want your book cover art to stand out this is essential. Use a professional book cover design service to do this, do not pin all your dreams on a second cousin who’s showing promise in the school art class. Rule 4: Spend time looking at the Amazon website, particularly at the most successful authors in your genre. This will help you get a sense of what your book cover art should look like. Rule 5: Share these ideas with the designer and remember it’s not going to be done that minute. You need to be realistic about how long it will take. Rule 6: You are going to have to do some stuff you probably hate, and no, it’s not being beastly to pets or children. Rule 7: You need to market yourself. Yes, I said market yourself. You are going to have to tell the world about your self, your book and why people should buy it. Rule 8: Don’t get stressed about rule 7. Rule 9: If you discover your partner has a natural ability to help you with this, rejoice, and be very nice to them as they might change their mind. Rule 10: Write some blog posts about you and your book. That’s probably more than enough rules for now. Over the next few weeks I hope to flesh out some of the points I raised here, especially with a view to ideas on marketing and book cover design. 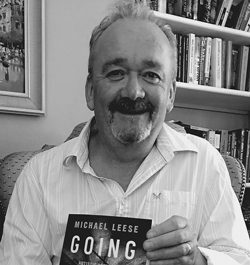 Micheal Leese is the self-published author of the Jonathan Roper series. Book one is Going Underground, book two is I Can See You and the third is The Long Reach. All three are published exclusively on Amazon.